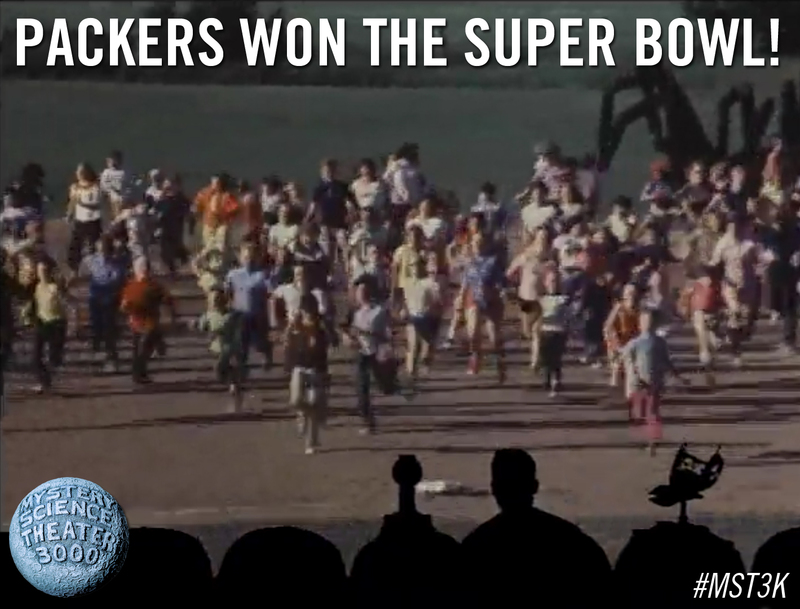 MST3K Monday: Packers Won The Super Bowl! On this day way back in 1967, the Packers won the very first Super Bowl. Of course, it wasn't called the Super Bowl yet — back then it was just called the AFL-NFL World Championship Game. But once the catchier term was officially adopted in 1970, that championship game became known as Super Bowl I. The Packers can't win it this year, yet this February you'll probably hear MSTies around the country yelling as though they did. Or maybe they're just yelling because of the giant, lumbering spider attacking their small town. We'll never know.